This is just what I am after. I have repeated this on my environment - all works just fine. 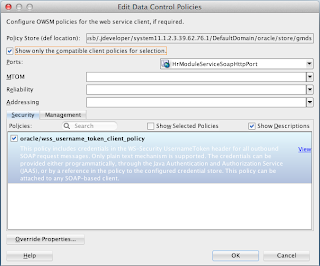 PolicySet Invalid: WSM-06102 PolicyReference The policy reference URI "oracle/wss_username_token_service_policy" is not valid. 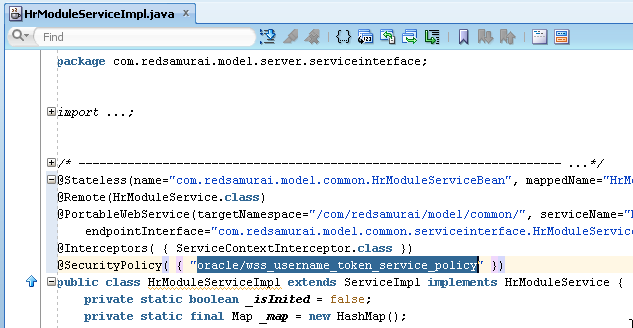 How to enable this only supported policy on WLS? 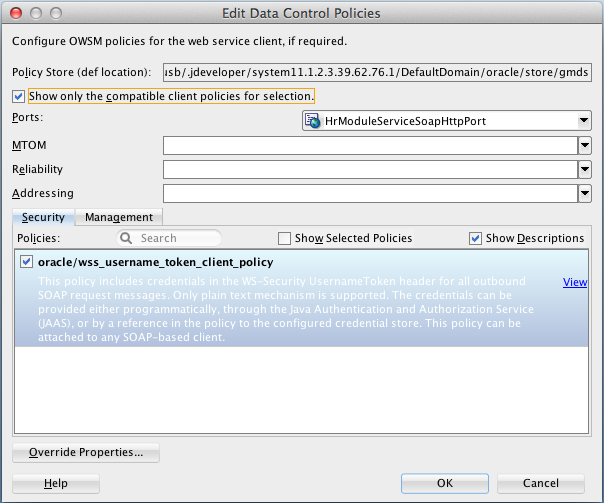 I am trying to connect to webservice which I have created in OSB with OWSM policy. I am trying to use this web service in ADF. 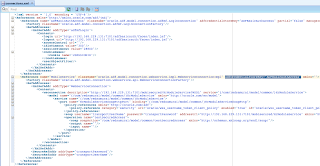 I am unable to pass the username and password in the SOAP header. Do you have any examples that can help me please. 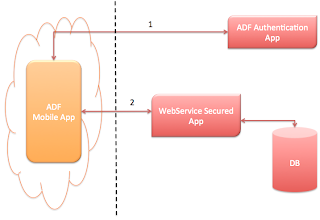 Yes - take a look into ADFSecuredService application from this post. Unfortunately, there's no such internal application mentioned on your link. Maybe there's a way to move it from BI WLS setup. 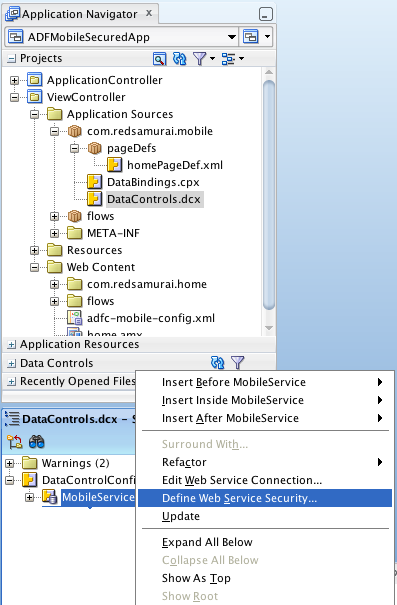 But for now as a workaround I'll set up JDeveloper domain on my server and try to use it for mobile applications. 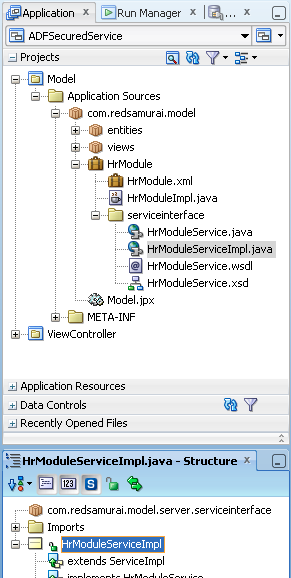 Anyway - try to run for now on JDev domain. But I got a small question. 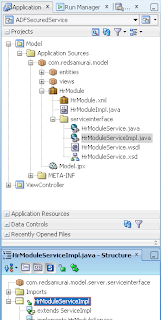 Isn't it possible to merge the 2 non-mobile applications into 1? If not, why? If it's possible, are there any disadvantages? 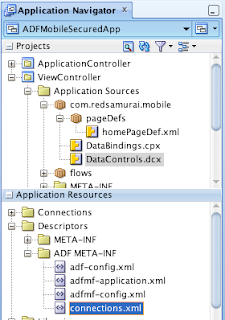 Yes - you can merge 2 non mobile ADF apps into one. There are no disadvantages, just for me it was more fun to have it like that. It makes it easier to explain different parts of ADF. 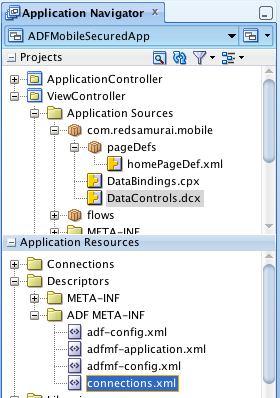 Without mixing everything into one app - is harder to understand what belongs to what for new ADF developers. Thanks for a great example. 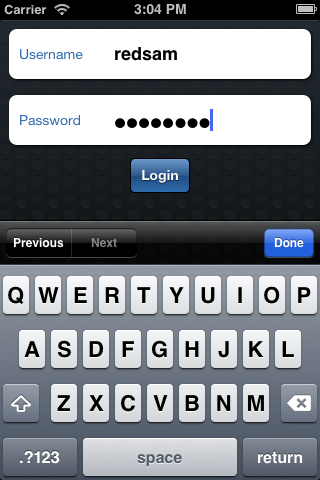 How ever if we wanted to the User Name to be different for login and the secured web service, how would we achieve that ? 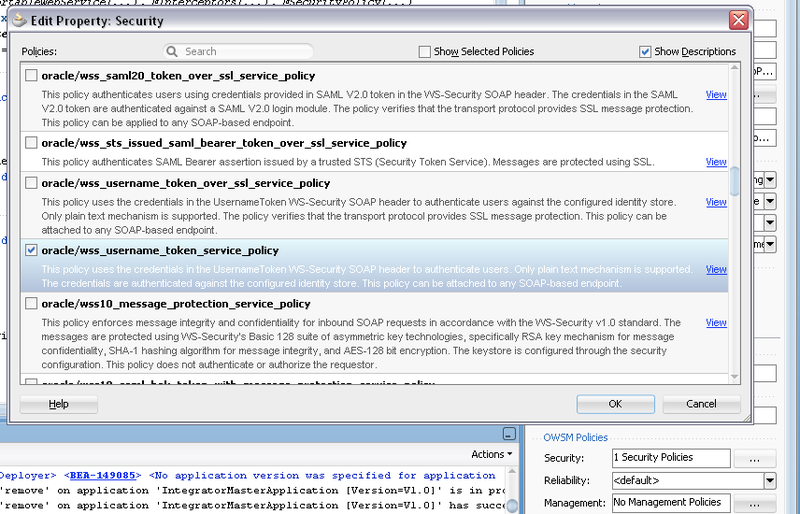 eg:- The Login Webservice user is against a LDAP but the webservices are secured using wss_user_token_policy having a Static Username/Password. 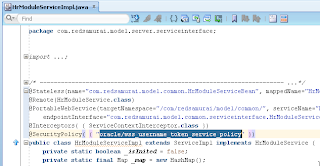 Now how to pass the Static Username/Password to the secured web service? 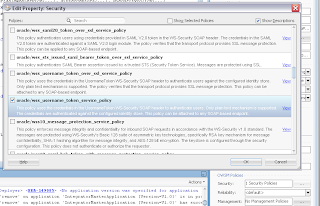 wss_user_token_policy is also using user from WebLogic security provider. I dont think it is static. Thank you for the response. 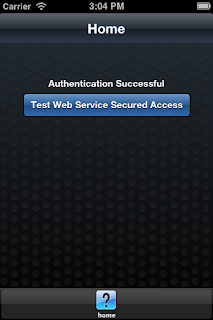 How about a scenario where in we dont have a login page in ADF Mobile but the application uses Secured Webservices. 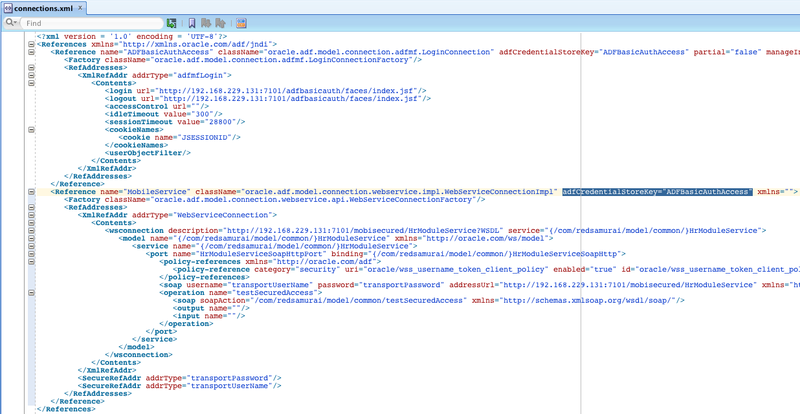 In such a case since login page is absent we wouldnt be able to leverage the same adfcredentialstorekey hence what is the alternative to invoke the secured webservice ? You must have login page, I dont think there is alternative. HI thanks for your post. This was extremely helpful. If you have multiple features, is there any way of hiding the feature bar or even the springboard until the user has logged in. I tried securing a custom springboard to achieve this, and checked the option 'show springboard on launch'. Seems like the 'transition behaviour' is missing as an error occurred. 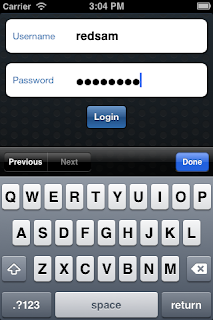 I am trying to create a simple ADF Mobile App where on first page it accepts username and password and on submit it calls a web service and get response true or false. 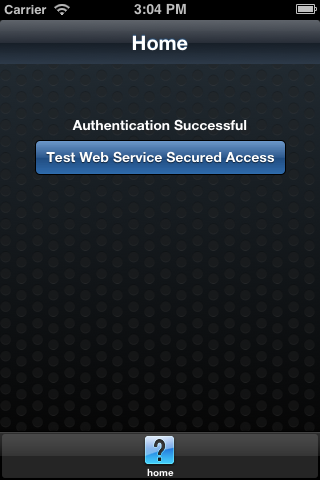 And depending on the result it displays error page or success page. So, do we have to use any managed beans or routers for this? How to implement this? Do you have any example on the above scenario. "HTTP Status 400 Bad Request: The request could not be understood by the server due to malformed syntax. The client SHOULD NOT repeat the request without modifications." Get method is working fine for me. Can you please help.